Valentine’s Day is such a fun holiday to celebrate those that you love. I began thinking of fun DIY gifts to create with your kiddos to fill their friend’s Valentine’s Day bag at school that does not contain sugar and is very budget friendly, and thought about slime! If you have little ones you know that making slime is all the rage right now. Glow in the dark slime, slime that smells like chocolate, and the list goes on and on. So why not get them involved and make a big batch of Valen-slime to hand out their friends? They will love it, their friends will love it and so will the parents because no sugar is involved! 1. 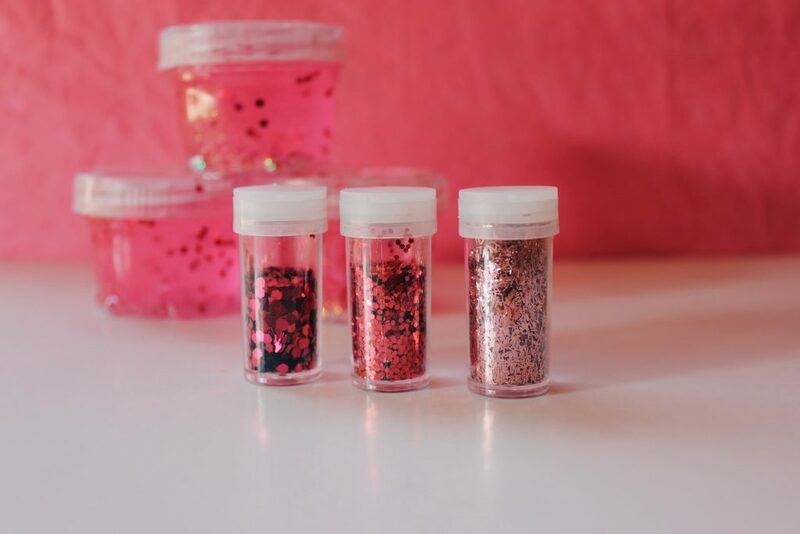 Begin by combining the glitter glue, 2 ¼ cups of hot water and optional glitter until smoother and free of glue clumps. 2. In a separate bowl, begin mixing the Borax and 1 ½ cups of hot water until fully incorporated. 3. Slowly add the Borax mixture into the bowl of glitter glue, stirring until the mixture becomes thick. 4. Then the fun part begins! Once the mixture is thick, knead the slime like you would dough until it is soft and stretchy. 5. 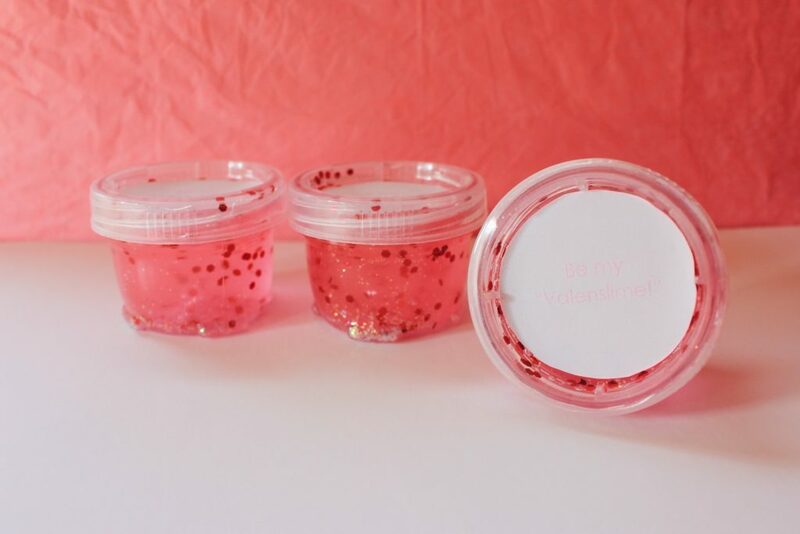 You can then divide your slime into small containers and add a ‘Be My Valenslime!’ tag!